Modern kitchen designs with wood cabinets, dining furniture, island or floor and wall wood like tiles look luxurious and stylish, creating warm contemporary home interiors. Wood kitchen cabinets and dining furniture, wood like tiles and natural wood colors are great interior decorating ideas that add cozy feel to contemporary kitchen designs in minimalist style. This wonderful collection of contemporary kitchen designs will help to select the best ideas for your home. Beautiful contemporary kitchen designs celebrate the minimalist philosophy, simple lines, natural and neutral colors, providing functional and attractive layout and gorgeous look. 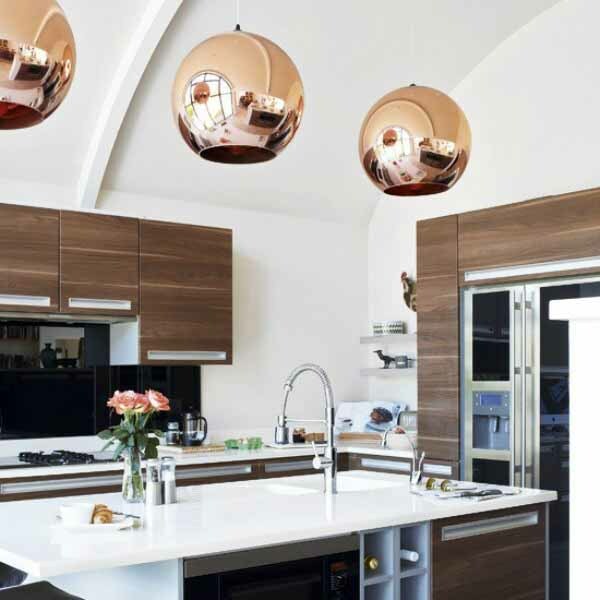 Chrome and stainless steel, glass and wood blend into striking contemporary kitchen designs from Germany, Italy and Scandinavia, offering lots of space for appliances and food. The combination of chrome, stainless steel, glass and wood looks light and bright, visually adding more space to modern kitchens. Thanks to the development of wood kitchen cabinets, you can choose from many contemporary kitchen designs from a wide variety of looks. There are plenty of gorgeous contemporary kitchen cabinets, made of solid wood or composites in natural wood tones. You can choose traditional, retro or contemporary kitchen design and combine contemporary kitchen cabinets with bright colors and stainless steel appliances, making a strong statement. Frameless kitchen cabinets have super modern look and maximize the use of storage space. The doors are installed with special hinges that are attached to the inside of the kitchen cabinets, and there is no need for a frame. Frameless kitchen cabinets are very convenient, allowing to use storage space easily and comfortably. Contemporary kitchens are spaces where people spend many hours, cooking, eating and entertaining. 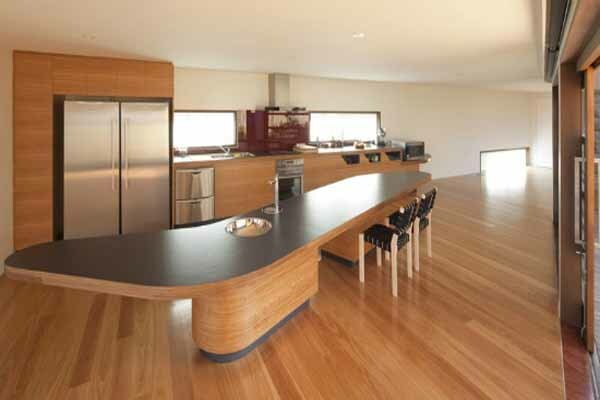 Today modern kitchens are not just work places, they are gather and fun places also. The way your kitchen look and feel is very important. Contemporary kitchen designs, especially with warm wood kitchen cabinets, dining furniture, island design and floor, set your home apart in a pleasant way and make your contemporary kitchen design in minimalist style feel cozy and welcoming.